Stacey Sher produces films that make waves — titles ranging from The Fisher King to Pulp Fiction, from Erin Brockovich to Contagion. But on the set of Gattaca, Sher herself was stirring the waters. 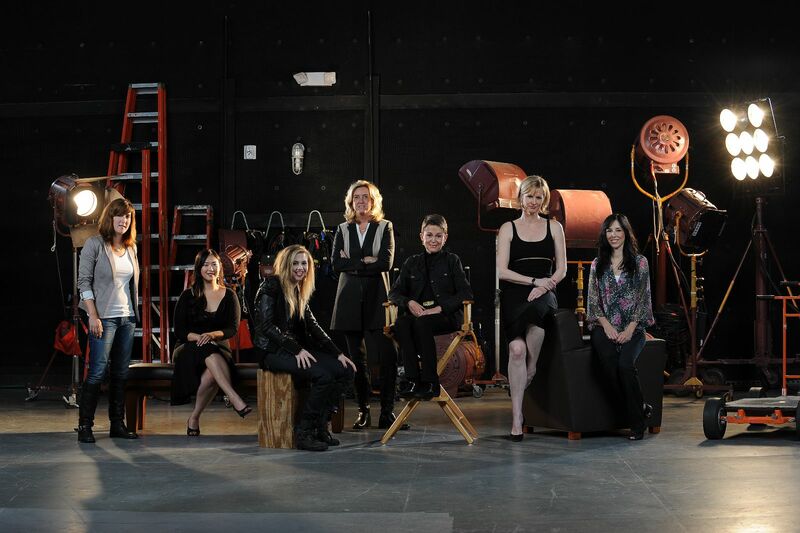 Making a splash comes naturally to the remarkable alumnae of the USC School of Cinematic Arts (SCA) — including Stacey Sher, Melissa Rosenberg, Erin Levy, Leslie Iwerks, Kellee Santiago, Susan Vaill, Jennifer Au, Nicola Marsh, Liz Blazer, Chera Kee and Cassandra Brooksbank. Sher — a self-professed “movie geek” from an early age — first heard about SCA’s Peter Stark Producing Program as an undergraduate at the University of Maryland. Sher proved her eye for good material early on when she brought the script for Adventures in Babysitting to the attention of her then-bosses Debra Hill and Lynda Obst. Since then, she’s collaborated with visionary filmmakers such as Steven Soderbergh, Oliver Stone and Richard LaGravenese. Chera Kee concurs, particularly if the learning involves zombies. An assistant professor of film and new media at Wayne State University, Kee credits her father for her spooky research interests. After earning a master’s degree in Chinese literature and history from Harvard University, Kee enrolled in SCA’s Ph.D. in critical studies to explore Asian cinema. During a father-daughter outing to the 2004 Dawn of the Dead, she wondered aloud where all the “old-school zombies” had gone, and her father encouraged her to ask her professors. Literary manager Jennifer Au has equally fond memories of her dad sitting her down to watch classic television and movies ranging from I Love Lucy to Taxi. She majored in critical studies at SCA, and after graduation, she worked for a film sales and production company, a management company, an agency and an author. She interviewed with alumna Jennifer Levine at Untitled Entertainment, where she still works today. Editor Susan Vaill also enjoys a close working relationship with an alumna, Grey’s Anatomy showrunner Shonda Rhimes. Vaill experiments outside of the editing bay, too, and she’s currently directing the documentary My Evil Twin. She’s also participating in the ABC DGA minority shadowing program and will be directing her first episode of Grey’s Anatomy in January. With a father who worked in software, Santiago grew up as a gamer. After earning her undergraduate degree in theatre from New York University, she enrolled in the SCA interactive media M.F.A. program with the intention of creating multimedia stage performances. Her plans changed when she, classmate Jenova Chen and a student team created the online game Cloud. It also inspired Santiago and Chen to found their company “to create games that communicate emotions that aren’t commonly explored in the videogame marketplace,” she said. Liz Blazer embarks into equally unusual emotional territory in her whimsical animated documentaries, such as Backseat Bingo, which looks at senior sexuality. After majoring in fine art at Skidmore College, Blazer worked as a mixed media artist. She started working in the Israeli animation business on projects including the Palestinian-Israeli Sesame Street before pursuing her M.F.A. in animation at SCA. She currently teaches at Kean University in addition to making animated documentaries including Food Court Diaries and Bridezillas. She also lends her talents to books for children with learning disabilities, and she recently designed an online game. “USC enhanced my goals and my ability,” she said. Writer Melissa Rosenberg also credits USC with upping her skills and saavy. As an M.F.A. student in SCA’s Stark program, Rosenberg forged lifelong friendships and learned how to write production-friendly scripts. British-born cinematographer Nicola Marsh embodies this quality. As a student, she recognized and tirelessly pursued the opportunities she had at SCA. Since then, Marsh has shot narrative features and documentaries, including the Emmy-nominated Troubadours about James Taylor and Carole King. Erin Levy, who won an Emmy at age 26 for her writing on Mad Men, offers analogous advice. In elementary school, Levy dreamed of becoming a novelist. When she was in high school, her father, Emmy-nominated television writer Lawrence Levy, suggested that she enroll in a USC summer screenwriting seminar, which shifted her interests to writing for the screen. As an undergraduate at SCA, she took a rewriting class with alumnus Matthew Weiner. Years later, when he was looking for a writer’s assistant for his show Mad Men, he called Levy, who quickly earned a promotion to writer. Her favorite Mad Men character is Peggy Olson, who rises through the ranksof the advertising agency under the mentorship of creative director Don Draper. Like Levy, director and producer Leslie Iwerks always had a passion for entertainment. After completing this tribute to her grandfather, Leslie Iwerks made the Oscar-nominated Recycled Life about the people living in the Guatemala City dump, the Emmy-nominated The Pixar Story, and the recently Oscar nominated Pipe Dreams about the proposed Keystone XL Pipeline. No matter where her filmmaking adventures take her, she always stays in touch with the Trojan Family. Just graduated alumna Cassandra Brooksbank has already had a chance to give back to her alma mater. Originally admitted to USC as a history major, Brooksbank earned her acceptance into the SCA production program after applying five times. “I'm pretty persistent,” she said.